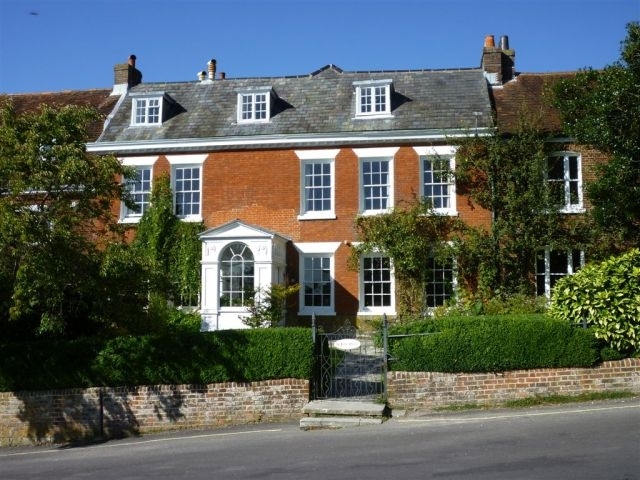 St John’s Croft Bed & Breakfast is a Grade II* listed Queen Anne Town House situated in a quiet elevated position within a conservation area and near the centre of Winchester. St John’s Croft has many original features including pine panelling, wooden floorboards, flagstones and a dresser in the kitchen. It has stunning views towards the cathedral, St Catherine’s hill and the centre of town and is just 5 minutes walk to the many varied restaurants, pubs and shops. There is on-site parking. The bed and breakfast offers three bedrooms which are large and comfortable and have views towards Winchester or the beautiful walled garden. All rooms have wash basins, tvs, radios, tea and coffee facilities, fine white cotton sheets and simple fresh decor. There are two large shared bathrooms and an additional lavatory. Breakfast is cooked on the Aga and served in the large kitchen. Guests can enjoy their stay in this laid back informal family ‘home from home’. St John’s Croft has been awarded a rating of 3* Bed & Breakfast by Visit England 2018/19 and a TripAdvisor Certificate of Excellence 2018. By road: Exit the M3 at junction 10 (from the south) or junction 9 and follow signs to Winchester and city centre via Chesil Street. At the mini roundabout by No 5 Bridge Street restaurant/bar turn right up Magdalen Hill, then left down Blue Ball Hill. St John’s Croft is the first house on the right, it has a white porch entrance. By public transport: Winchester train station is approximatley a 15 minute walk and Winchester bus station is approximatley a 5 minute walk.